7 th Copernicus User forum is the two-day conference held from 7 to 8 June at the European GNSS Agency. 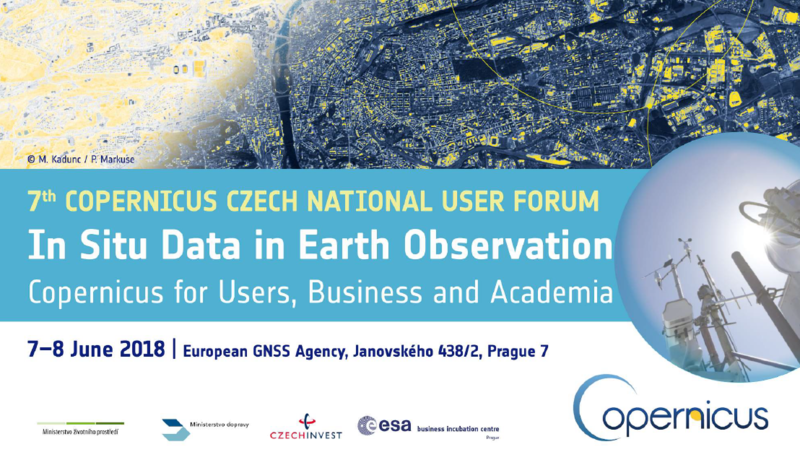 The conference is organized by the National Secretariat GEO / Copernicus, to which ESA BIC Prague is a core member and is responsible for the second day of the conference. The theme of this year’s In-situ Data in Earth Observation and 2nd day is specifically focused on support of the use of Copernicus data in the business sector. The aim of the conference is to show good examples of data usage, inspire, motivate, and above all to help expand the use of Copernicus data in business.